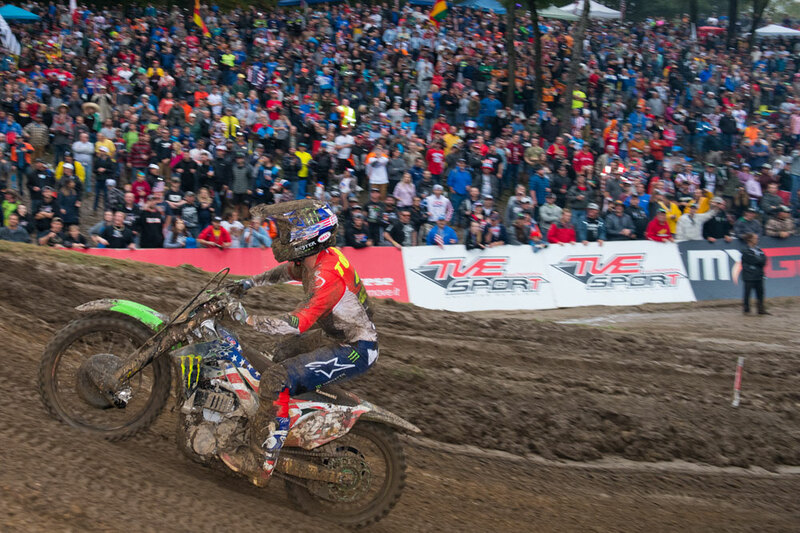 2018 RedBud Motocross of Nations Results: The odds usually seem to favor Team USA before the running of the Motocross of Nations, but with the race taking place at RedBud in Southern Michigan, some people considered it a foregone conclusion that Team USA would take the win, ending France’s MXoN win streak at four. But as the saying goes, that’s why they hold the races. If we knew what would happen before the race, there’d be no point in holding the race. Rain leading up to the event, along with unfamiliar track conditions and lack of execution cost Team USA all weekend, and in the end, Team France came away the victor for the fifth time in a row; this time doing it on American soil. 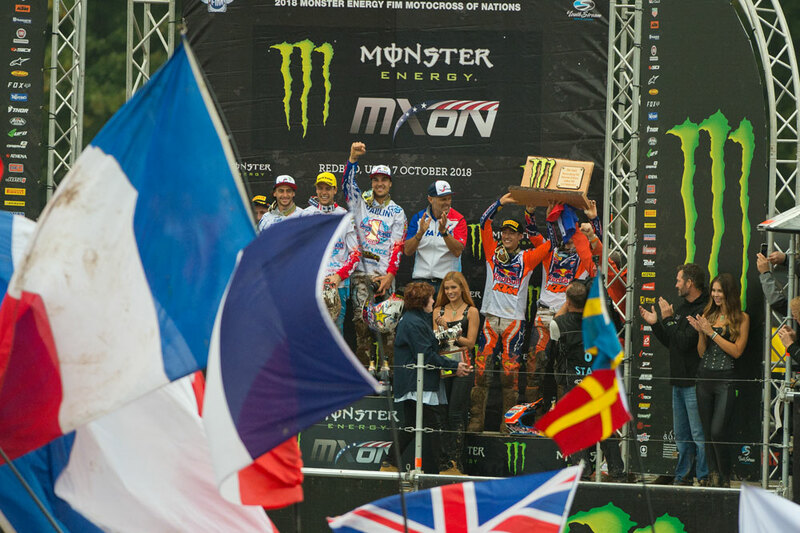 France’s team captain Gautier Paulin went 2-3 in his two motos, including some clutch passes late in the final moto to secure the victory for his country. Dylan Ferrandis went 7-8 in his two MX2 motos, placing him third overall in the class on the day behind 2018 MX2 World Champ Jorge Prado of Spain and GEICO Honda’s Hunter Lawrence of Australia. And Jordi Tixier did well enough in the final moto with a 15th to secure the victory for France. Although France came away with the Chamberlin Trophy, it was actually Team Netherlands who put on the biggest show. 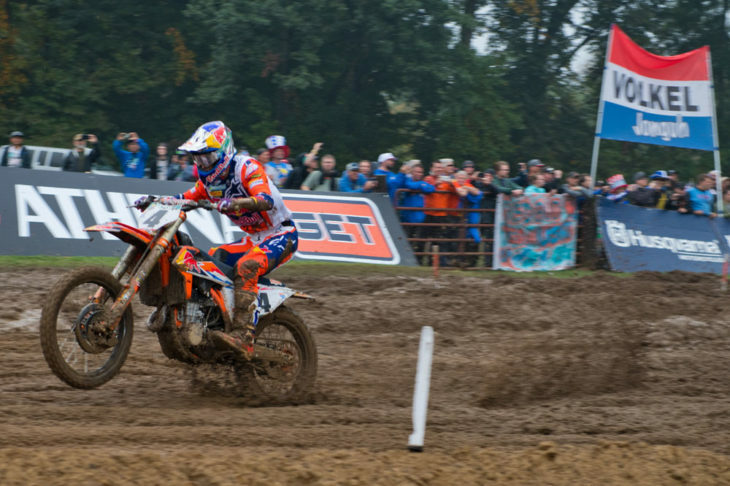 Their MXGP racer Jeffrey Herlings won the opening moto going away, and then his teammate, Open-class racer Glenn Coldenhoff, won the second and third motos of the event. 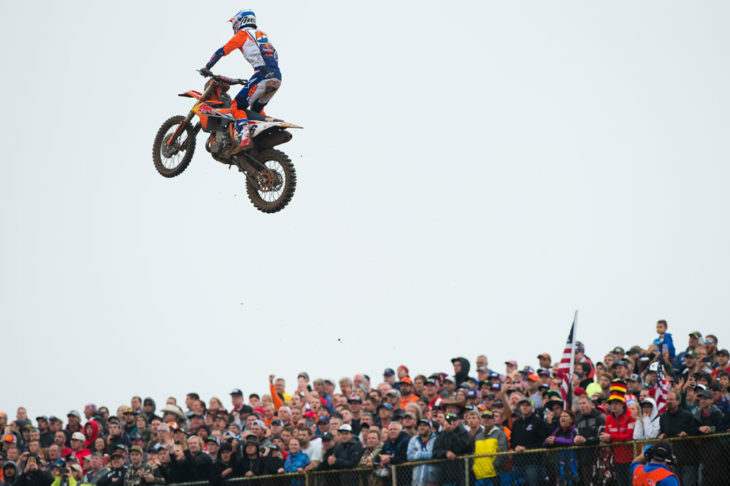 Coldenhoff went 1-1 to win the Open class overall, while Herlings won the MXGP class with a 1-2 score. The only thing holding Team Netherlands back from winning their first-ever Chamberlin Trophy at RedBud was their MX2 racer, Calvin Vlaanderen, who DNF’d the first moto with an injured eye, which also prevented him from racing the second moto. 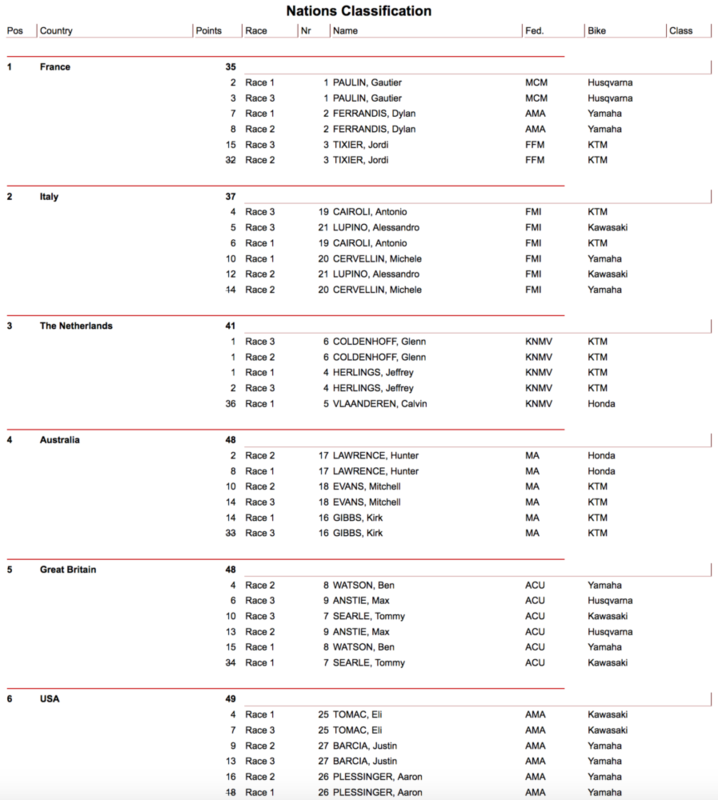 His DNF and DNS left The Netherlands six points shy of their first-ever Chamberlin Trophy (still finishing third overall). Vlaanderen was inconsolable after the event, especially considering just a top-30 finish in one of his two motos would’ve garnered the win for his home country. Team USA struggled with bad starts and crashes all weekend, and Eli Tomac was the team’s brightest point, going 4-7 in his two motos for fourth overall in the MXGP class. MX2 racer Aaron Plessinger was eighth overall in the MX2 class, and Open racer Justin Barcia was seventh in his class. Team USA was sixth overall on the day.